… one of the great values of metaphors is the variety of ways they can be employed and how they can open up an otherwise sealed perspective. Recently I was browsing at a book display and happened on a copy of The Mirror and the Lamp by M.H. 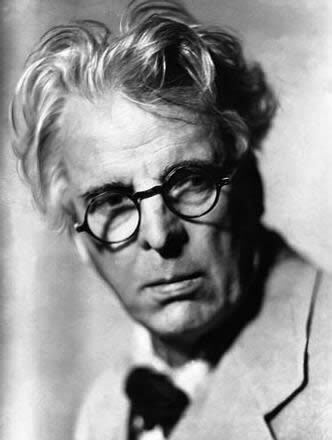 Abrams, first published in 1953. At the heart of this work is an account of a shift from understanding art as mimesis (copy) to art conceived as expression. The mirror suggests that art reflects the world while the lamp invites us to understand art as expressing something of the human person taking us beyond what meets the eye. These metaphors speak to the question of whether the artist (and everyone else) is passive, simply receiving impressions of the world or active, contributing to shaping the world as we know it. The former tends to focus on the senses where art reproduces what is seen, while the latter is inclined look to emotions or ideas that are projected through art. While the mirror has been a key image for science and its relationship with nature, the lamp metaphor loomed large during the early days of the Romantic Movement in the nineteenth century. The romantics advocated for a view of art that would bring new vitality to the merely mechanical world which was the legacy of some Enlightenment thinkers. 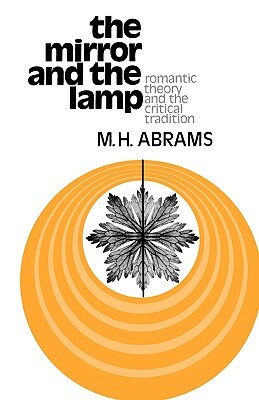 The metaphors of mirror and lamp are rich and I would like to suggest a different application than that found in Abrams. I am thinking about the trends, values and ethos of the prevailing culture. How is it that art relates to these? Humanity is deeply embedded in culture, influenced at every turn by the style, morals and ideas of the time. In our world we are subject to swift changes which pressure us to leave the familiar behind and opt for the latest. It is, I think, more common to find artists who mirror back to us the spirit of the times, a spirit internalized and often accepted uncritically. There is value in this to be sure but there is also need for lamps that will shed unmasking light on the thinness of so much of what constitutes the spirit of the age. This leads me to wonder about art done by members of the Christian faith. It is a standard responsibility of those who are Christian to “discern the times”. It is much easier of course to join with the flow of cultural life and leave the difficult tasks of discernment, critique and challenge to someone else. Mirroring can be exercised not just in mainline culture but also in our sub-cultures. It must go further still: that soul must become its own betrayer, its own deliverer, the one activity, the mirror turn lamp. Art can serve the role of simply reflecting back what we already hold to and so reassure us (perhaps falsely) that all is well. Art practiced as lamp might enable us to better negotiate our way in the dark spots of contemporary life. Art will not save us, but it may be able to help us to see more clearly. I don’t wish to suggest that we must choose one of these metaphors over the other. What I have said suggests that lamp may offer us more than mirror. In order for this to happen we need art that speaks not only to ourselves but that speaks to the important realities that we face in a world shaped by the globalizing currents of modern life.